Test your might with non-stop laughter and fun for your family and friends. 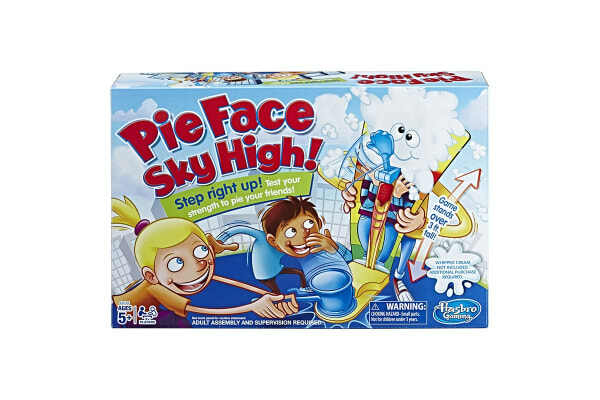 The Hasbro Pie Face Sky High game lets players test their strength as they attempt to give their opponent a face full of whipped cream. (Whipped cream not included. Additional purchase required.) 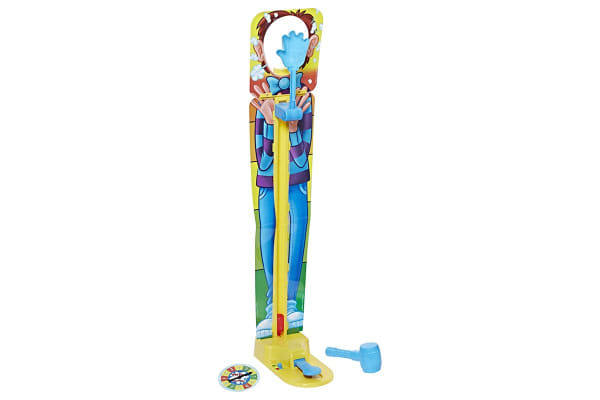 The game is set up like a strength-tester carnival game—towering over 3 feet tall. One player stands, looks through the mask, and faces the throwing arm. 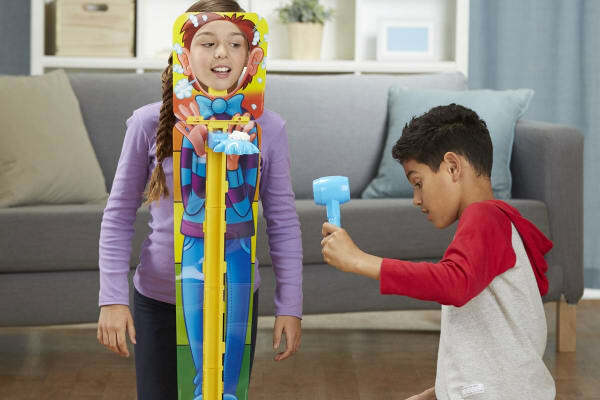 The other player spins the spinner to see the difficulty level and the number of swings, then hits the base plate with the plastic hammer hard enough to “pie” their opponent! Score a point each time an opponent gets “pied”. The first player to reach 3 points wins.